German Marin returns to the head of the Policia de Transito for the third time. A faithful defender of the Ley de Transito (Traffic Act). A group of 40 Transitos (traffic officials) has been assigned to maintain operations in 10 key points of the San Jose with the purpose of unclogging roads of badly parked cars and infractions of the vehicular restrictions. 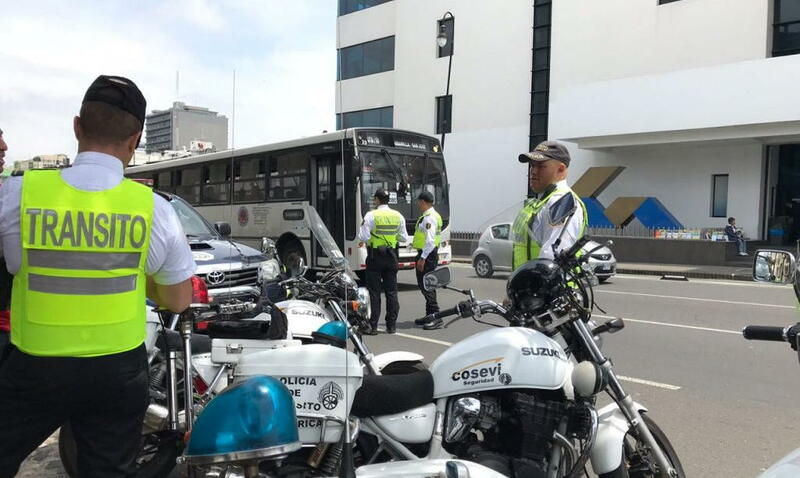 German Marin, the returning new head of the Policia de Transito, said the objective is to improve traffic flow in the Greater Metropolitan Area (GAM), specifically in the downtown San Jose area. The new traffic police chief assured that ‘interventions’ will be more common. The intensified police operation will be from 6:00 a.m. to 6:00 p.m.
“The idea is to give continuity to the process. We are bringing in human resources from other regions,” said Marin, while personally observing the Tuesday morning operation on Avenida Segunda in the area of the Plaza de la Democracia. Rodolfo Méndez, the new Minister of Transport (MOPT), supports the action of his new traffic police chief and confirmed the plan to intervene in 28 bottlenecks identified in the GAM, with the objective to reduce congestion. On Monday, the exclusive bus lane on the Autopista General Cañas was extended to include the section between La Uruca and Rio Segundo and the permanent presence of six Transitos, there in each direction, on the Autopista. According to Marin, one of the major problems contributing to congestion in San Jose is the “open air parking” – the parking of anywhere without concern for the consequences. Marin is heading up the Policia de Transito for the third time: in the Arias Administration (2006-2010) and again from 2012 to 2014 in the Chinchilla Administration, replaced in 2014 with Mario Calderon who led the police body during the Solis Administration (2014-2018). During his previous terms, Marin was responsible for changes tot he Ley de Transito (Traffic Act) that saw the imposition of prison to street racers, drunk drivers and reckless driving (speeding over 150 km/h). At 45, Marin has a degree in business administration, a bachelor’s degree in banking and finance, a diploma in road safety and spent more than two decades as a Transport official.